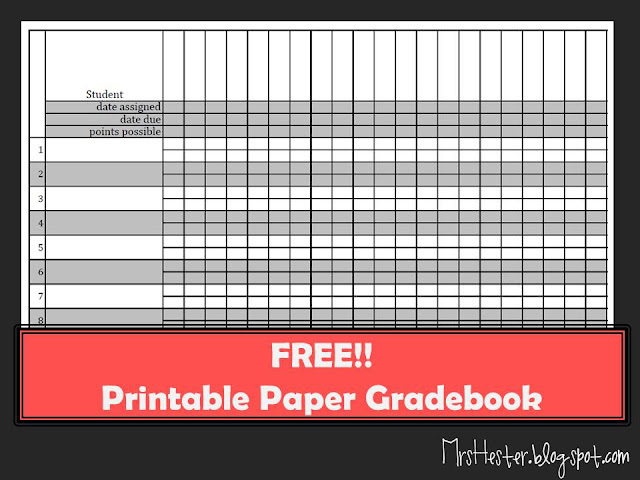 Do you use a paper gradebook? I do! I love it and wouldn't give it up for $20. $100 maybe, but definitely not $20. Do you want to give me some grief for it? I'm okay with that. 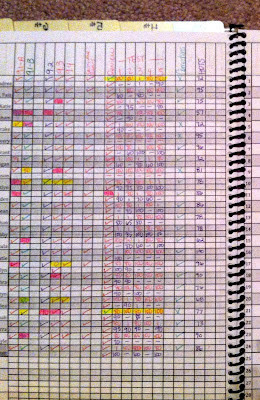 I love my gradebook that much! 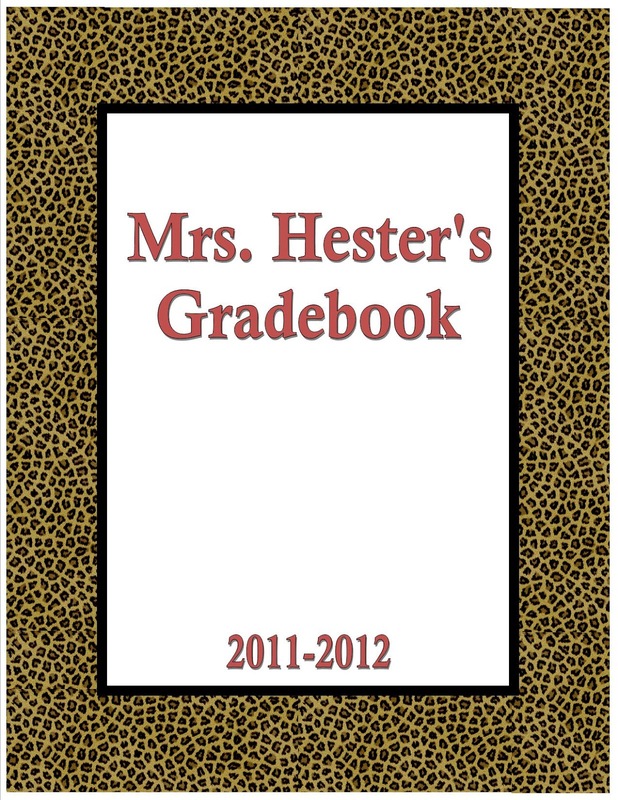 I also make my own gradebook every year. I just haven't found one I like as much as my own version. I run copies of my inside pages front and back for the entire year. I then take all these copies and my cover (printed on cardstock to make it a little thicker) to my local Office Depot. They laminate the cover, add a thick plastic back cover, and spiral bind the entire thing for $2.50. Perfection! we employ Mastery Math at my school, meaning my students take two unit tests and keep their best scores on each section of the test. 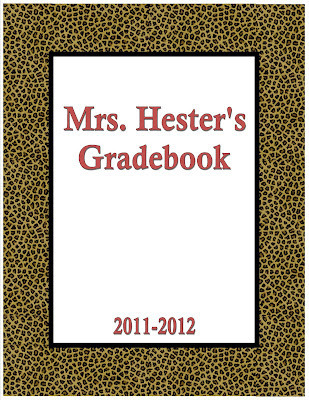 A paper gradebook allows me to reference all of their scores quickly and easily. Okay, I said a few reasons, I'll stop now. 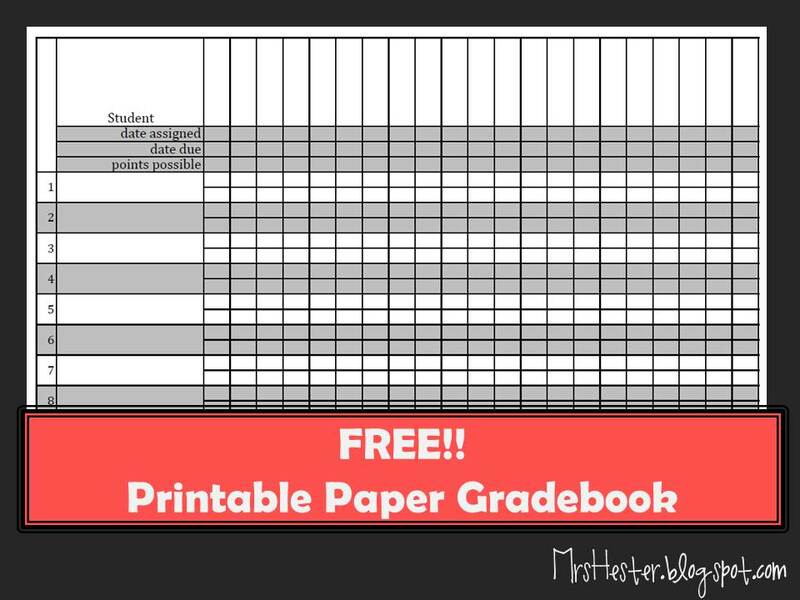 Please let me know if you use a paper gradebook and have any wonderful modification ideas for mine. Maria, I am so sorry that you cannot access the files! How weird! Just send me an email at MrsHestersMath@gmail.com and I'd be happy to send you the excel file. I use a paper grade book. It's so much more visual and comprehensive than looking on a computer screen. I also incorporate attendance in mine for those kids who didn't get the work because they were "absent." it makes it much easier to help make them more responsible. Just found your blog and love what you have done with your folder!! I am a new high school science teacher and have been looking for ideas to organize myself and I think I have now found it!! I have noticed online, it's mostly primary so having this is great! For the dividers. how did you create them? They look great! Thanks Audrey! Are you refering to the class period tabs at the top of the last, blurry picture? Those are just stick on post-it tabs from Staples stuck incrementally throughout the printed pages. What are the highlighted assignments? Are those late? Do the students do their homework in their interactive notebooks or on separate sheets of paper? The yellow highlighted assignments were turned in later than the due date because of absences. The pink highlighted assignments were counted late. When I assign something I immediately highlight absent students yellow, that way when I collect the assignment I can quickly tell who was there when it was assigned. If they don't turn the assignment it, their box becomes pink and I know it's then counted as late. My students do almost all of their homework on separate paper. Please email them to me. Ericksone@pcsb.org they download but won't open once they do. Thanks! can u help me with my gradebook? I appreciate your hard work and spirit of generosity! Thank you for this gradebook. Happy school year to you!